Source: “Where Do We Go From Here: Chaos or Community?” by Dr. Martin Luther King, Jr.; Boston: Beacon Press, 1967. PRINCIPLE ONE: Nonviolence is a way of life for courageous people. It is active nonviolent resistance to evil. It is aggressive spiritually, mentally and emotionally. PRINCIPLE THREE: Nonviolence seeks to defeat injustice, not people. Nonviolence recognizes that evildoers are also victims and are not evil people. The nonviolent resister seeks to defeat evil not people. PRINCIPLE FOUR: Nonviolence holds that suffering can educate and transform. Nonviolence accepts suffering without retaliation. Unearned suffering is redemptive and has tremendous educational and transforming possibilities. PRINCIPLE FIVE: Nonviolence chooses love instead of hate. Nonviolence resists the violence of the spirit as well as the body. Nonviolent love is spontaneous, unmotivated, unselfish and creative. PRINCIPLE SIX: Nonviolence believes that the universe is on the side of justice. The nonviolent resister has deep faith that justice will eventually win. Nonviolence believes that God is a God of justice. The Six Steps for Nonviolent Social Change are based on Dr. King’s nonviolent campaigns and teachings that emphasize love in action. Dr. King’s philosophy of nonviolence, as reviewed in the Six Principles of Nonviolence, guide these steps for social and interpersonal change. INFORMATION GATHERING: To understand and articulate an issue, problem or injustice facing a person, community, or institution you must do research. You must investigate and gather all vital information from all sides of the argument or issue so as to increase your understanding of the problem. You must become an expert on your opponent’s position. EDUCATION: It is essential to inform others, including your opposition, about your issue. This minimizes misunderstandings and gains you support and sympathy. PERSONAL COMMITMENT: Daily check and affirm your faith in the philosophy and methods of nonviolence. Eliminate hidden motives and prepare yourself to accept suffering, if necessary, in your work for justice. DISCUSSION/NEGOTIATION: Using grace, humor, and intelligence, confront the other party with a list of injustices and a plan for addressing and resolving these injustices. Look for what is positive in every action and statement the opposition makes. Do not seek to humiliate the opponent but to call forth the good in the opponent. DIRECT ACTION: These are actions taken when the opponent is unwilling to enter into, or remain in, discussion/negotiation. These actions impose a “creative tension” into the conflict, supplying moral pressure on your opponent to work with you in resolving the injustice. Based on Martin Luther King, Jr.’s “Letter from Birmingham Jail” in Why We Can’t Wait, Penguin Books, 1963. Dr. King’s Beloved Community is a global vision, in which all people can share in the wealth of the earth. In the Beloved Community, poverty, hunger, and homelessness will not be tolerated because international standards of human decency will not allow it. Racism and all forms of discrimination, bigotry, and prejudice will be replaced by an all-inclusive spirit of sisterhood and brotherhood. In the Beloved Community, international disputes will be resolved by peaceful conflict-resolution and reconciliation of adversaries, instead of military power. Love and trust will triumph over fear and hatred. Peace with justice will prevail over war and military conflict. Dr. King’s Beloved Community was not devoid of an interpersonal, group or international conflict. Instead, he recognized that conflict was an inevitable part of human experience. But he believed that conflicts could be resolved peacefully and adversaries could be reconciled through a mutual, determined commitment to nonviolence. No conflict, he believed, need erupt in violence. And all conflicts in The Beloved Community should end with a reconciliation of adversaries cooperating together in a spirit of friendship and goodwill. An ardent student of the teachings of Mohandas K. Gandhi, Dr. King was much impressed with the Mahatma’s befriending of his adversaries, most of whom professed profound admiration for Gandhi’s courage and intellect. Dr. King believed that the age-old tradition of hating one’s opponents was not only immoral but bad strategy which perpetuated the cycle of revenge and retaliation. Only nonviolence, he believed, had the power to break the cycle of retributive violence and create lasting peace through reconciliation. In keeping with Dr. King’s teachings, The King Center embraces the conviction that the Beloved Community can be achieved through an unshakable commitment to nonviolence. 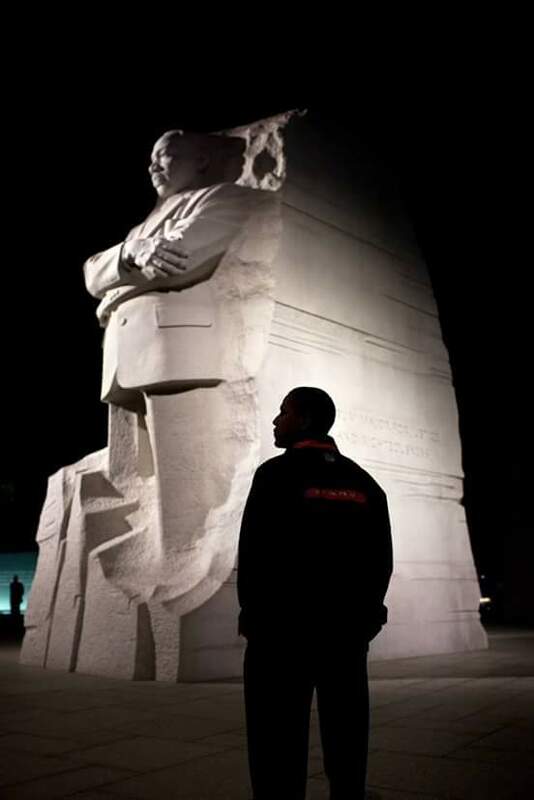 We urge you to study Dr. King’s six principles and six steps of nonviolence and make them a way life in your personal relationships, as well as a method for resolving social, economic and political conflicts, reconciling adversaries and advancing social change in your community, nation, and world.